If HR Directors and HR Managers are to succeed spearheading their strategic initiatives, first they need to make effective negotiation persuasion work for them. You might wonder whether you are playing the role of Atlas with all those corporate responsibilities that have been thrust upon your weary shoulders, or maybe you feel more like a circus juggler wondering what task is going to be thrown at you next. It’s no wonder, with all these initiatives Human Resources are spearheading in today’s shape shifting corporate universe, that HR executives often feel overwhelmed. Despite all the added responsibilities, the Human Resource Director may still be kept at arms length from being a fully appreciated and valued member of the executive team. Nonetheless, it’s still up to HR leadership to articulate these new corporate visions into effective policy and still have serious regard for their hard hitting consequences on the bottom line. 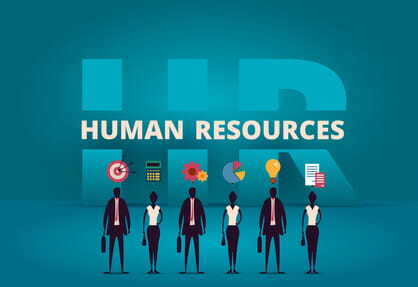 Once HR have been given a directive to offer creative solutions or conceive plans to address any HR issue or problem, we have to present an effective proposal and convincingly persuade the right people to adopt and implement our hard conceived plans to make them work. All too often HR starts from a deficit of little to no control of the budget and without direct responsibility over other departments who are needed to bring strategic initiatives to life, HR Managers and HR Directors need to sell ideas and initiatives to the CEO, Board of Directors, Executive Management and key colleagues. Plan A will save 1 of 3 plants and 2,000 jobs. Plan B has a 1/3 possibility of saving all 3 plants with all 6,000 jobs, but has a 2/3 possibility of saving no plants and no jobs. Plan C will result in losing 2 plants and 4, 000 jobs. Plan D has a 2/3 possibility of losing 3 plants and 6,000 jobs, but has a 1/3 possibility of losing no plants and no jobs. What did you decide? Clearly, plans A & C are the same while plans B & D are also the same. In numerous tests, 80% of respondents chose plan A in set 1, while 80% chose plan D in set 2. Why the difference? People respond one way to risks concerning gains (Saving jobs and plants in A & B in set 1), and differently to risks involving losses (Losing jobs and plants in B & D in set 2). When the options are equal, we tend to be risk averse when the problem is framed in terms of gains (Plan A), and risk seeking when the problem is framed in terms of losses (Plan D). 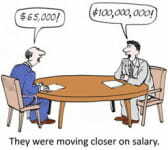 So, what’s the most effective way for HR to frame a proposal to persuade stakeholders to buy in? The key is to not only emphasise what they will gain if they accept the proposal, but also to emphasise what they will lose if they don’t! Most people only try to explain the gains that might be made, but it’s what could be lost that’s really the more persuasive element of the argument. The rest of this article’s six persuasion principles are drawn from Robert Cialdini’s research, which in turn drew from various other bodies of research. Numerous studies have shown that people possess an almost obsessive need to be consistent. Once committed to a decision, we are almost compelled to act in ways which are consistent to that commitment. 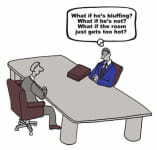 If Human Resources can create a public scenario, such as in a meeting for example, whereby you can get a group or a person within a group to make an active verbal or written commitment, especially in a public setting with other people in attendance, your chances of compliance by the group or person are increased dramatically. It has also been shown that people feel indebted to a person who has performed a thoughtful or helpful act which is unintended. This does not mean you have to be a toady or sycophant. If you genuinely give from the heart without expecting something in return, the receiving person’s gratitude will naturally follow. Regardless of how we are perceived, or how other people perceive us, you can’t build bridges if you throw stones at the people you need to work on them with you, can you? It’s about team building, not team breaking. A simple experiment was performed on a busy street that had interesting results. The experimenter stopped in the middle of the side-walk and stared upwards during a busy lunch hour. One or two people did likewise. Next, the experimenter used several people to do the same thing, and the result was that more people stopped to look up. When the same experiment was done with an even larger group, many more people stopped to look up and stare. To win credibility to persuade colleagues, Human Resource pros need to sprinkle stories of the positive reactions of other people to your proposal at every possible opportunity that presents itself to you. In fact, it’s even more influential if can get other members of your staff to spread the word as well. It’s like spreading a rumour, only in this case it’s the positive buzz about your proposal. It’s similar to the gentle nudge of a snowball down the slope of a hill as you watch it grow in both size and momentum. Authority figures make a positive and influential impression on other people. Think of how the ‘big names’ are consistently used in commercials or how you respond to another’s expertise. The titles and names of the big-wigs are very persuasive in giving your proposal some heavy duty weight and legitimacy. People not only need to be liked, but they like it when they know that someone else likes them specifically. Sounds simple and obvious enough, but you’re wrong. Why? The reason is because as you read that first statement, you were probably thinking of yourself. You are not the one who needs persuading. It’s the person you want to persuade that you have to think about here. The people who are liked are those people who make others feel good about themselves. If you show genuine, and I repeat genuine, interest in another person, they will warm up to you because they feel liked. A person who feels liked is going to be more responsive to being persuaded and disposed to responding positively by a well conceived proposal aren’t they? It all goes back to that bridge building concept thing again, doesn’t it? ‘Act now before it’s too late‘ – ‘Limited time offer‘ – These are time tested marketing techniques which have effectively and convincingly persuaded many of us to trigger our buying and decision making impulses. It’s not that hard to adapt to your own proposals to these well-utilised techniques just as effectively. The notion of ‘If you snooze-you lose‘ concept, impels people to make a decision sooner. Your decision is dependent on the situation, but if time and lost opportunity has any relevance to the goal or objective you trying to achieve, it can be an incredibly persuasive lever to get the action you need. If you point out what will happen if a person doesn’t act now, and especially if you emphasise what they will lose by not acting immediately, you can readily persuade someone to agree or acquiesce and react positively to your plan or proposal. We welcome Human Resource professionals onto our negotiation skills courses – their perspectives are both broad and rich, typically raising the crucial human and process elements to others’ awareness. To sell an idea or plan, it is essential that Human Resource professionals possess the ability to persuade the decision makers to their way of thinking. If HR Directors and Managers are to gain effective legitimacy, then this means we have to go that extra step to get our foot in the door, but once we’re in, the battle is more than half won already. Even if we already have a solid and established base of equality with our executive peers, this doesn’t mean we should ever neglect the importance and the powerful influence of the ability to persuade our peers and co-workers, because that never ends!